Our GTPS02T uses a TD05H turbine with a Spec-C turbine housing and 2010ET compressor wheel. Comes with Turbosmart actuator. 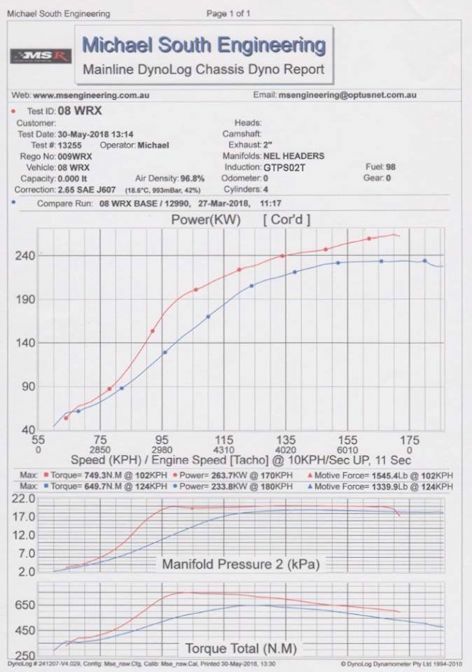 GTPS02T dyno sheet below (red trace) shows MY08 WRX Spec-C twin scroll headers/exhaust with forged EJ257 on 98 fuel.